INDUSTRY.co.id - Jakarta - Commission XI of the House of Representatives (DPR RI) is planning to summon officials of the Ministry of Finance to get an explanation related to the discourse of holding SOEs that are busy discussed by various parties. "We at the House of Representatives Commission XI in partnership with the Ministry of Finance will request an explanation of the holding plan," said Chairman of Commission XI Melchias House Markus Mekeng in a written statement in Jakarta on Tuesday (13/3/2018). Melchias Markus Mekeng explained that the summons was due to the authority of the Ministry of Finance in this case as the shareholder of the Republic of Indonesia in the SOE Company. With the summoning, the Golkar politician wants to get an explanation regarding the scheme and funding needs for the formation of state-owned holding companies, as well as the basis of holding formation. 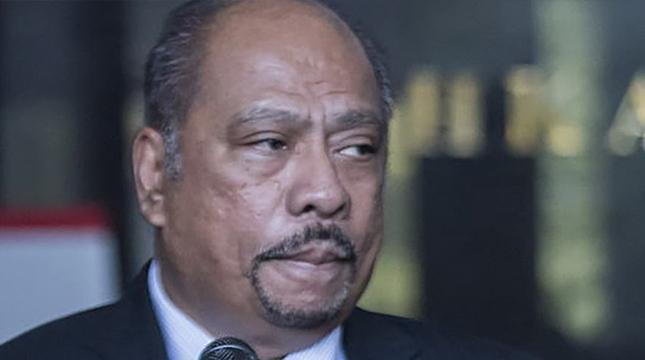 Earlier, Vice Chairman of the House of Representatives Commission VI Inas Nasrullah Zubir reminded the process of formation of oil and gas holding is not in a hurry because it is also associated with changes in assets related to state wealth. "PP No. 6 of 2018 on oil and gas holding is too rushed because the last Supreme General Meeting of Shareholders of PGN still leaves a problem," Inas Nasrullah Zubir said. According to Inas, the formation of oil and gas holding in the future will provide a dominant role for Pertamina, while PGN is feared as a gas producer will not be optimal. The Hanura Party politician believes that the other thing that could be a problem is the potential conflict of interest in the oil and gas holding body. That, he said, because Pertamina which is a company whose main business in oil still depends 60 percent of domestic needs from imports. While the natural gas is very much contained in the earth of Indonesia and is the core business of PGN is considered still cannot be utilized optimally to meet domestic needs. Inas reminded that the plan to establish oil and gas holding takes place in the middle of the lawsuit process of the SOE Law. If the lawsuit is granted, the Constitutional Court is expected to affect its derivative regulations including the PP on oil and gas holding. Previously, public policy analyst Agus Pambagio as reported by Antara assessed the formation of holding BUMN Migas will only create a "time bomb" or potentially create problems pending. Agus Pambagio explained that currently the state-owned law is being sued in the Constitutional Court and has entered the trial. According to Agus, President Jokowi himself has realized there are many pros and cons holding of BUMN Migas that make it hesitate to approve its formation.